As British Columbia's largest city, Vancouver is one of the world's most liveable cities, popular with both foreign buyers looking for property purchases and apartment rentals, owing to its pleasant disposition and nearby attractions. The infrastructure is excellent and it is also relatively easy to buy here. As a result, prices in Vancouver are relatively high when buying and renting in the city's peaceful residential districts, to the busy downtown and harbour areas. Downtown Vancouver has some fantastic serviced apartments, yet you will be paying through the nose for the location on the likes of Burrard Street and Canada Place. Gastown and Chinatown are slightly cheaper, while the nearby West End is also popular, being near to downtown and Stanley Park. Farther afield and cheaper is the North Shore, which is good for seeing Capilano River Regional Park, but getting to downtown from here can be difficult. Serviced apartments are pricey in Vancouver although a luxury one bedroom place in downtown Vancouver would be cheaper than a comparable hotel. The city centre is the place to be for accessibility to the harbour and attractions, but is the most expensive area. For cheaper serviced apartments, consider Broadway in South Granville or Kingsway in East Vancouver. You can also find apartments out near the airport in the Richmond area. Everything from studios up to three bedroom serviced apartments can be had, and the term 'serviced apartment' in Vancouver means that the accommodation comes with all mod cons, such as air conditioning, kitchen and cleaning service. 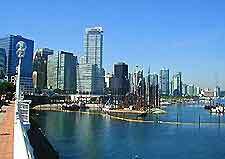 Foreign buyers of apartments and houses in Vancouver make up a healthy percentage of the market and buying here is quite straightforward. You can buy as a tourist (someone who remains in Canada for less than six months of the year) or a non-resident. While expat workers often purchase Vancouver property downtown or in Yaletown, the likes of Point Grey with its waterfront homes will appeal to families. Cheaper homes can be found in East Vancouver's ethnic districts. Completion times in British Columbia are relatively fast, with a mandatory escrow delay time, while GST on a new home is five per cent. Real estate agents must be licensed by law in British Columbia, meaning they are there to represent your best interests and to assist with the transaction. 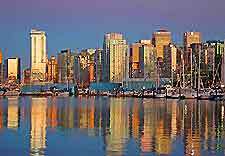 Vancouver real estate agents will help you avoid common mistakes as well as provide information on the area of interest, market trends, relevant taxes, and so on. An award winning realtor in the Vancouver and Richmond markets which has been operating since the early 1990s. Operating under Findaproperty.ca, Kevin O'Toole is a licensed realtor working with buyers and sellers in Vancouver and surrounds. 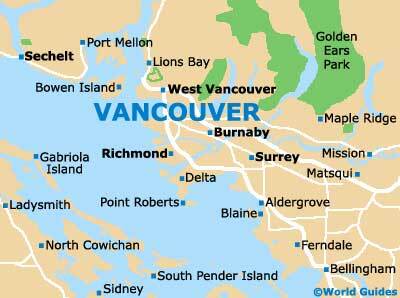 Vancouver's real estate department has a wealth of information on buying and selling in the city.